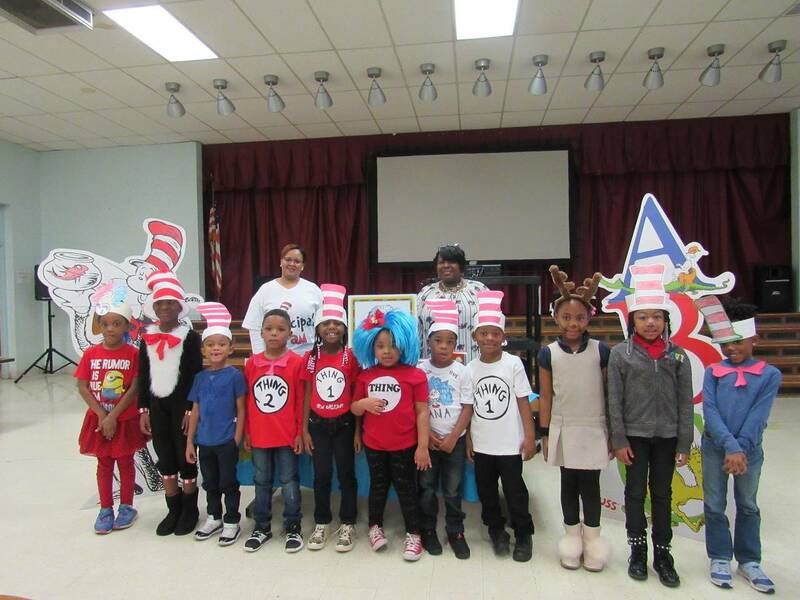 MPB’s Early Childhood staff recently hosted a special celebration in honor of Dr. Seuss’s 115th birthday at Dawson Elementary School in Jackson. PreK-2nd grade students and teachers were excited to participate in the fun festivities! The engaging event featured a read aloud of one of everyone’s favorite Dr. Seuss books, Green Eggs and Ham, along with active viewing a ‘Cat in the Hat Knows A Lot About That’ episode. Each child received a bag with a Dr. Seuss book and other ‘Cat in the Hat Knows A Lot about That’ items. This project is funded by a Ready To Learn grant provided by the Department of Education to the Corporation for Public Broadcasting.